When it comes to photography we know that there is a lot more behind an image than what we see with a finished project. This is more obviously known within the fashion industry with the hot topic of model photoshopping however you can also be sure there is a lot behind that cute pic you've just Pinterested. Rather than the desire to slim a waistline or remove a pimple, the action behind all those poses you're imagining your little angel in is all about safety. That is, if you have a good photographer. 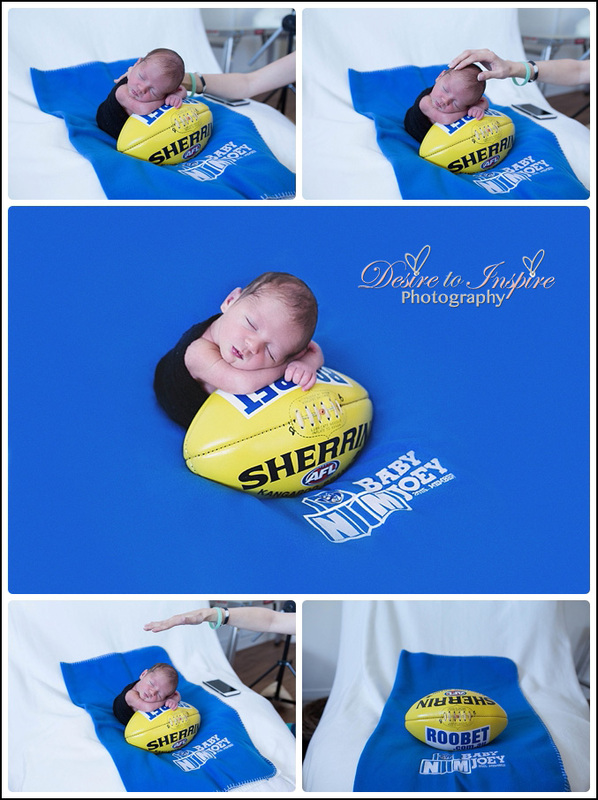 Safe newborn posing technique for the froggy pose. 1. How Long Will Your Photographer Allocate for the Shoot? 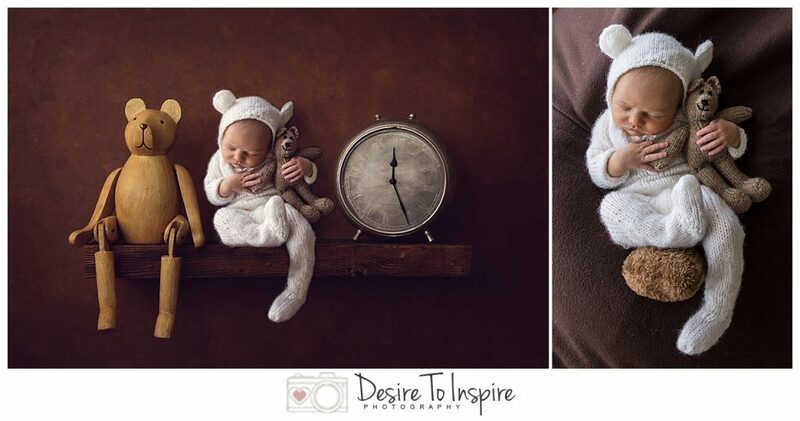 A safe photographer will give you a few hours of their time to capture your newborn in all their glory. A long timeframe allows for the photographer to take their time with poses and ensure no risks are taken for the sake of a quick job. That being said, make sure you also have a clear schedule too. While your antsy clock watching and pushing to get it wrapped up won't turn a good photographer into a reckless one, you may inadvertently reduce the quality of the finished job by limiting the prop changes and the number of shots within the scenes. Patience on both sides is indeed a virtue. 2. How is the Prop Used? If you are heading to your photographer with your Pinterest board stocked up on photos, ask yourself, "Would I allow my baby to do this on their own?" If it involves an unsupported head or any form of height then your answer should be no and if the answer is no, your next port of call is to ask your prospective photographer, "How would you get this shot?" If you are uncomfortable with the answer you have two options: Go without the pose or go without the photographer. 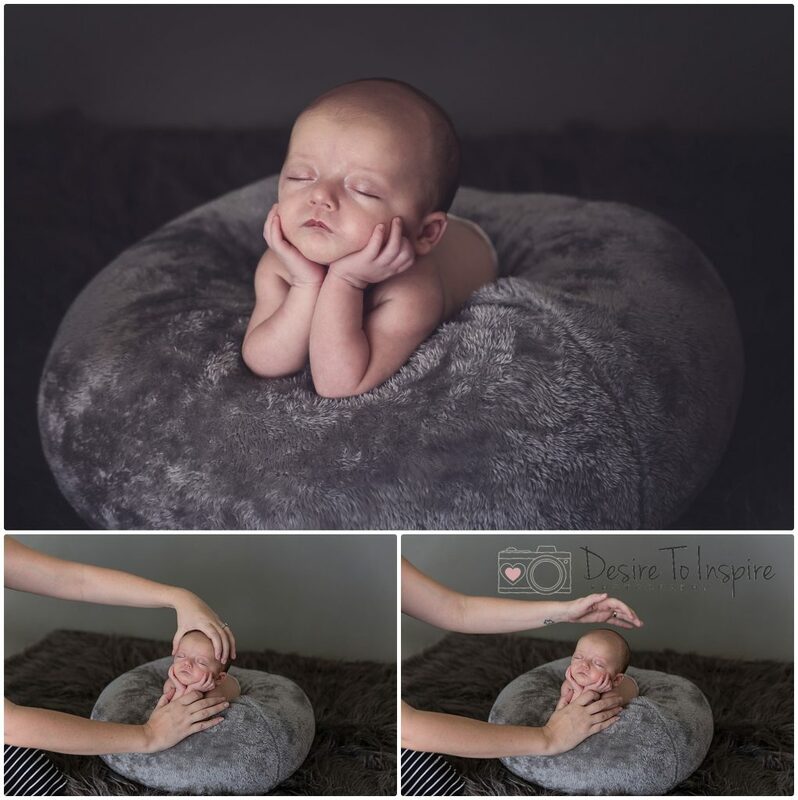 The best thing to remember is that when you hand your baby to friends and family for a cuddle, you ask them to support their heads so why would you not ask the same from your photographer? Before and after safety first for shelf pose that is photographed in the perfect posie then composited onto the shelf later on. 3. Does the Photographer Attend Professional Development Courses or Seminars? In almost all industries, professionals are required to update their learning within an approved environment. The primary reasons being to improve quality and to improve standards, something that was the norm several years ago may now have a better and safer approach today. Photography is no different which is why events such as 'The Baby Summit' are held. A photographer who is open to developing their skill set is one who is up to date with industry standards and practices, both formal and informal. You know what is right for you and your family. Be confident in your choices and be confident in saying no. So often, whilst it is called a no obligation consultation we find our selves signing up to things we don't necessarily agree on for the sake of saving face. Use your consultation to find if the photographer is the right one for you, if you feel like your baby will not be safe or that you might have to miss out on a shot you had your heart set on for the sake of safety or any other reason do not be afraid to say, "I'm sorry but I don't think you are the right fit for us." If you do not feel comfortable doing this outright, tell them you will need to consider your options and decline via an email when you get home. Put your baby ahead of the awkward decline. One of the reasons people choose pop up photographers or others with poor standards is due to money. Too often the cheaper option is the one that takes the shortcuts. If money is an issue, have a look into take home lay-bys or other financial options some photographers offer if you have your heart set on that perfect pose. After all the safety of your newborn exceeds all else. 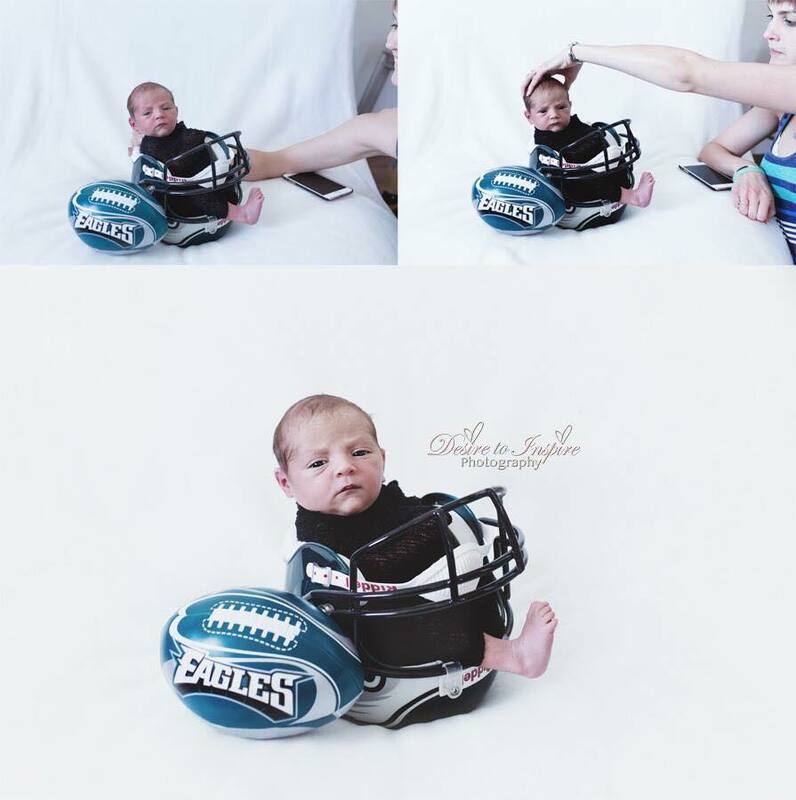 Helmet held at all times to ensure baby is safe the whole time with several images taken to blend together later. 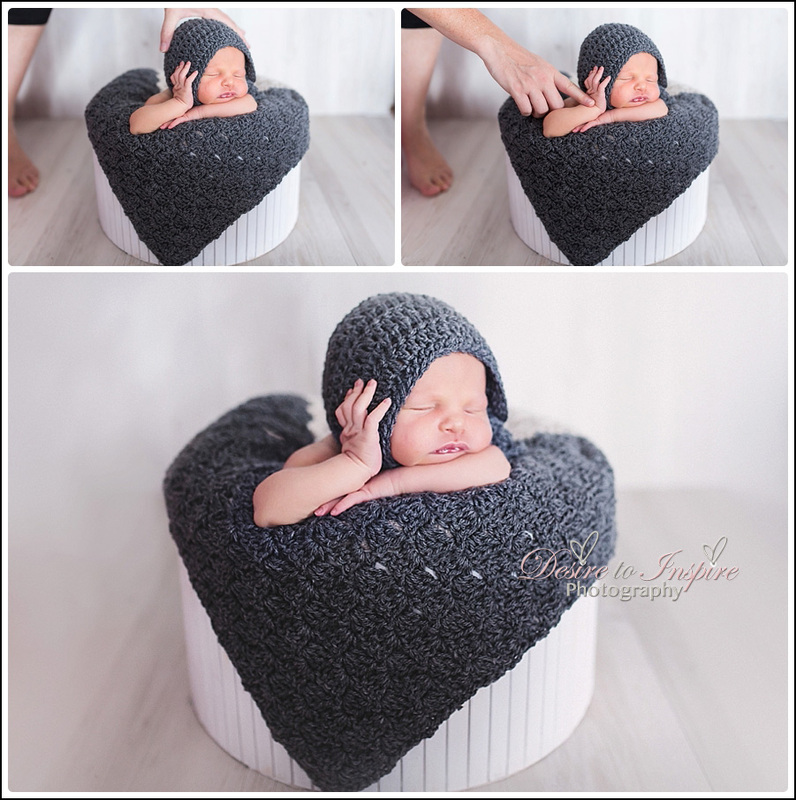 To book in your newborn session with a professional Newborn photographer that does practice all the above safety concerns then please fill in the contact form below for more information.